Very nice 1955 Ford T-bird- 292 V-8 engine, automatic, power steering, power brakes, power seat and windows. Very clean car including the underbody. Give us a call for more details! Visit Olson Auto Exchange, LLC online at www.olsonautos.com to see more pictures of this vehicle or call us at 608-873-5264 today to schedule your test drive. 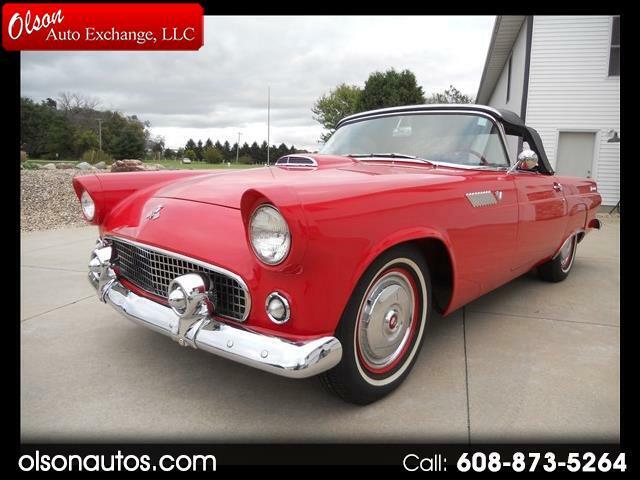 Message: Thought you might be interested in this 1955 Ford Thunderbird. 3447 State Rd 138 W.